Women around the world are doing incredible things in sports. From the tennis court to the UFC octagon, these 30 female athletes are absolutely dominating the competition. They’re bringing blazing speed, impressive power, muscular strength, and all-around athleticism to get them to the top. Along with their winning talent, these women are sure to inspire future generations of female athletes. Check out the fiery females who top this list for some serious gym goals or just admire these talented athletes at the top of their game. Mixed martial artist Miesha Tate is one of the hottest fighters in the UFC. We mean that as literally as we do figuratively, because this pretty face packs a mean punch and is one of the deadliest submission artists in the sport. Tate has been handed a few Ls in her time. One of those losses (against Ronda Rousey in 2012) was still such a good fight that UFC president Dana White credited it as one of the driving forces behind the creation of a women’s division – that’s just plain impressive. Her nickname may be “Cupcake,” but do you really want to risk calling her that? Standing amongst the top names and talents in women’s tennis is Caroline Wozniacki of Denmark. Since joining the exclusive club of women to reach the No. 1 rank in the world in 2010, Wozniacki has remained one of the elite players in the game, as shown by her 2018 Australian Open victory. Wozniacki continues to climb the ranks of career earnings with a purse that appears to be perpetually growing at an exponential rate. Wozniacki has already surpassed the $30 million mark, establishing herself as the fourth highest earner of all time. It will be a long time before we see someone supplant Wozniacki’s Top-10 rank. Why crush competition in just one sport when you have the talent to destroy opponents in other sports too? Lolo Jones did exactly that by competing as an Olympic hurdler and bobsledder. Two Olympic events. Two separate Games. Two totally different worlds. Jones didn’t just participate in these polar opposite fields, her talents took her to the top of both fields. Jones competed in the 2008 and 2012 Olympics in the hurdles and joined a select few athletes who have competed in both the Summer and Winter Games with her appearance at the 2014 Winter Olympics for bobsled. For over two decades, the United States women’s national team has flaunted one of the most talented rosters in the world. 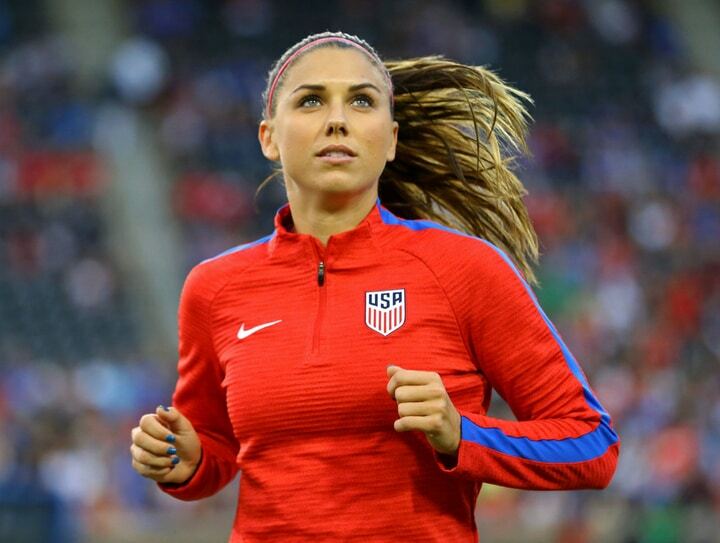 Alex Morgan is one of the key reasons why the women’s soccer national team has maintained such a high level of success. While Morgan has played for five professional teams, she has also represented the women’s national team since 2010. In that time, she has helped Team USA take home an Olympic gold (2012) and a World Cup gold (2015) and silver (2011). Morgan was the first woman featured on the cover of the wildly popular FIFA video game series in 2015. 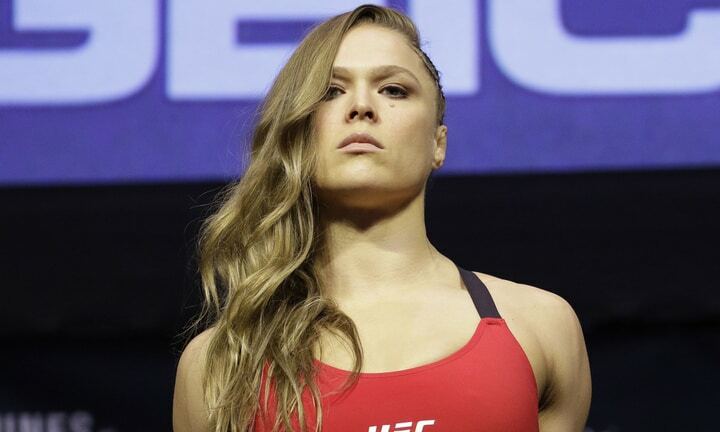 There are no ifs, ands or buts about it, Ronda Rousey’s overwhelming success in the MMA – particularly her time in the UFC – has absolutely been the biggest influence in the explosion of popularity for women’s MMA. She’s dripping in swag. Remaining undefeated until her final to fights to finish with a 12-2 record in December 2016, Rousey may have recently retired, but she remains one of the most recognizable faces (male or female) in MMA. Rousey has since signed with WWE where she looks to keep throwing down in the ring after crushing it in the octagon. Hilary Knight has been helping set the tone for women’s hockey for years now, and she only keeps getting better. From her high school days playing prep at the esteemed Choate Rosemary Hall to her collegiate days playing for the NCAA Champion Wisconsin Badgers, the talented forward has been ripping shots to the back of the net with ease. 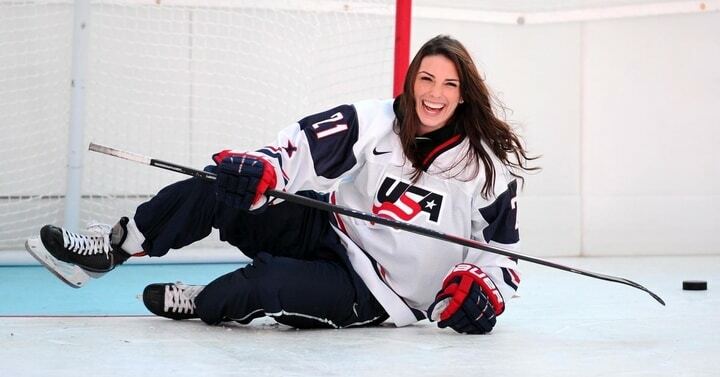 Knight has medaled in the IIHF World Women’s Championships nine times, seven of those being gold. 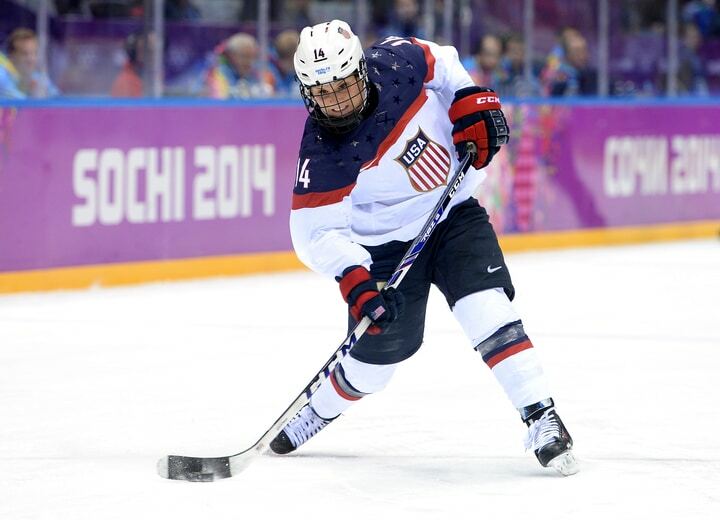 She has also led the United States women’s ice hockey team to three straight Olympic finals, scoring two silvers (2010, 2014) and one gold (2018) in a nail-biting shootout. How good at golf is Lexi Thompson? Well, considering she qualified for her first U.S. Women’s Open at age 12, “very good” sounds like a very safe bet. Thompson’s talent is mind-boggling. 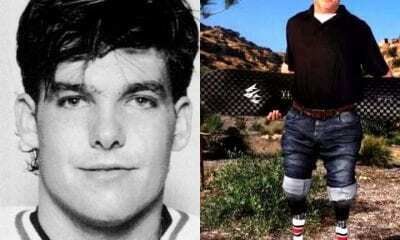 By age 15 – when most of us are dealing with the pressure of being underclassmen in high school – Thompson officially turned pro. Turning pro at age 15 is crazy, but setting an LPGA record at age 16 is insane. That’s just what Lexi Thompson did though, as the youngest player to win a tournament at the Navistar LPGA Classic. At age 19, Thompson claimed her first major title, winning the 2014 Kraft Nabisco Championship. Thompson has already accomplished so much, yet still has years ahead to pile on the awards. Read on for another new young star on the LPGA Tour who might give Thompson a run for her money. 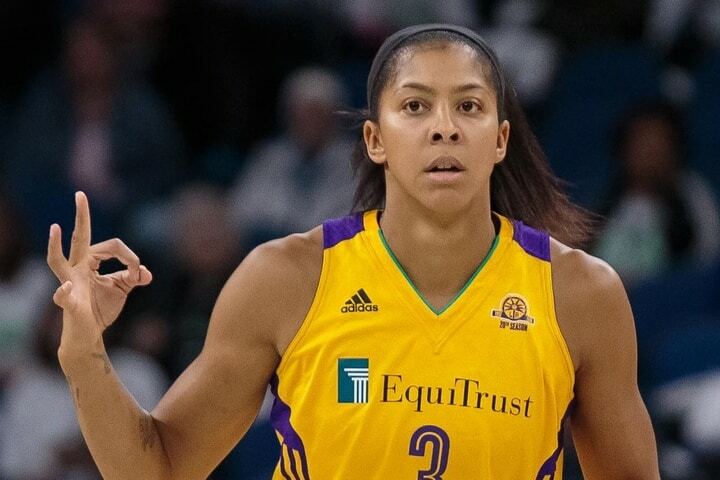 There have been countless NBA legends who have donned a Los Angeles Lakers jersey, but the name that owns Los Angeles in the WNBA is Candace Parker. Since drafting Parker with the first overall pick in 2008, the Sparks have been an absolute powerhouse. Since one championship, two MVP selections and four All-Star selections apparently can’t quench Parker’s thirst for competition, she has also taken her talents to Russia. From 2011-15, Parker claimed the title as the Russian National League champion. 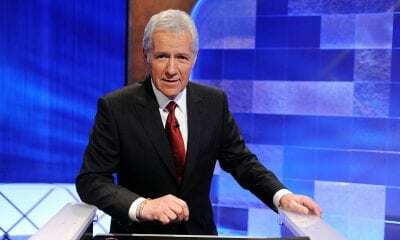 Oops, almost forgot to mention two National Championships with the Tennessee Volunteers. And we can’t leave out her two Olympic gold medals. Dang, girl, maybe just chill for a sec and let the others get a little action. Danica Patrick’s professional racing career may have come to a close in February 2018 at the Daytona 500, but her time on the track is still more than worthy of another look. By no means was Patrick the first woman to race NASCAR, though her influence on the sport has been monumental. After first joining NASCAR as a part-time driver in 2010, Patrick became the first female full-time driver of the Sprint Cup series in 2013. Though Patrick was never able to secure a first-place finish before concluding her career, her three Top 10 finishes leads all women in the sport. Most of the female athletes on this list have made a living stomping their competition in the dust. But pole vaulter Allison Stokke dominates all the rest in the modeling department. The snap of one perfectly timed photo sprang the beautiful athlete into the spotlight. Before she competed in the NCAA for the California Golden Bears, a photographer snapped the SoCal native’s picture at a local competition. The photo quickly began circulating the internet, thrusting the young athlete into stardom. Stokke’s popularity exploded as photographers followed her through her collegiate career at UC Berkeley. Since graduating, Stokke has enjoyed success as a professional pole vaulter and sponsored fitness model for Nike and Athleta. Skier Mikaela Shiffrin is already firmly among the sport’s top female athletes, and she’s barely even close to her prime. At the young age of 22, Shiffrin made her second trip to the Winter Olympics, competing in the 2018 PyeongChang Games. In 2014, Shiffrin claimed Olympic gold in the women’s slalom race. She showed growth in 2018, winning giant slalom and taking silver in the combined event. Adding to her medal collection, Shiffrin has three golds and one silver from the World Championships. She’ll need a guest house just for her medals by the time she’s done skiing for the U.S. Team. Move over, Michael Phelps. 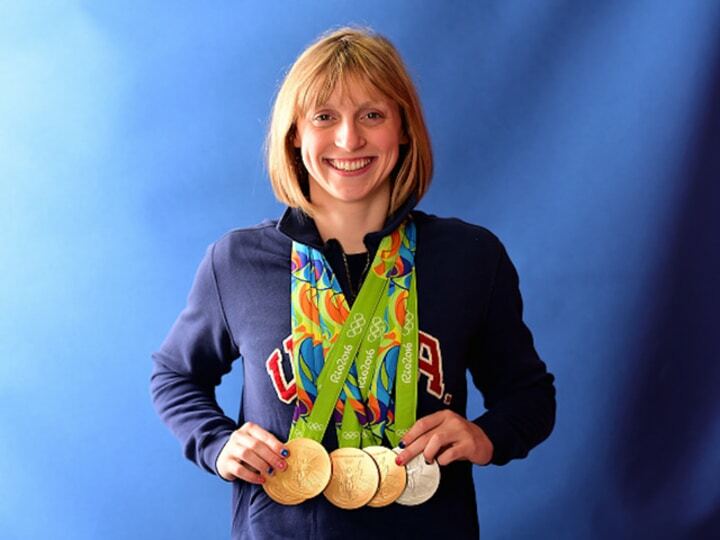 Katie Ledecky is looking to take the throne as the ultimate Poseidon of the Pool. This young swimmer has already asserted herself as one of, if not the greatest female swimmer of all time, and she did before she could buy a beer. Lately, Ledecky has lapped up every medal in her sight (unless that medal happens to be bronze). Between the Olympics, World Championships and Pan Pacific Championships, Ledecky has collected 24 golds and two silvers. Oh, and she’s accomplished all this before even turning 21. 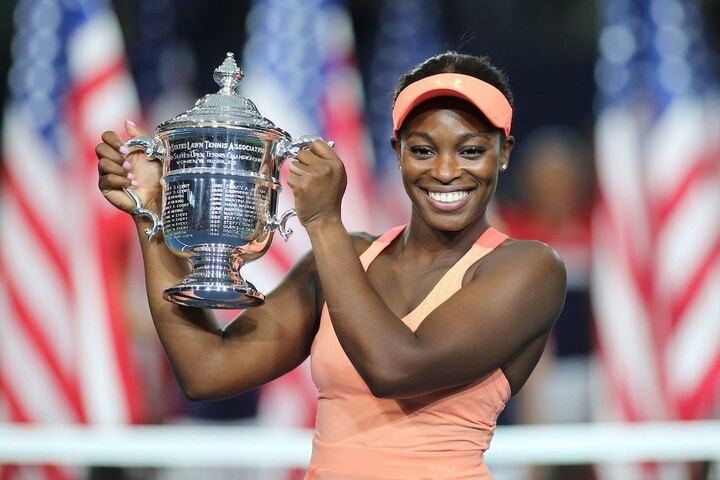 Sloane Stephens is on a mission as she steadily climbs to prominence in women’s tennis. The Florida native has been playing professionally since 2010 and has plenty of years of success ahead of her. Stephens yet to crack the Top 10 in world rankings. She floats just outside the bubble though, so far topping out at No. 11 overall. In 2017, Stephens won her first career Major, the US Open, at age 23. 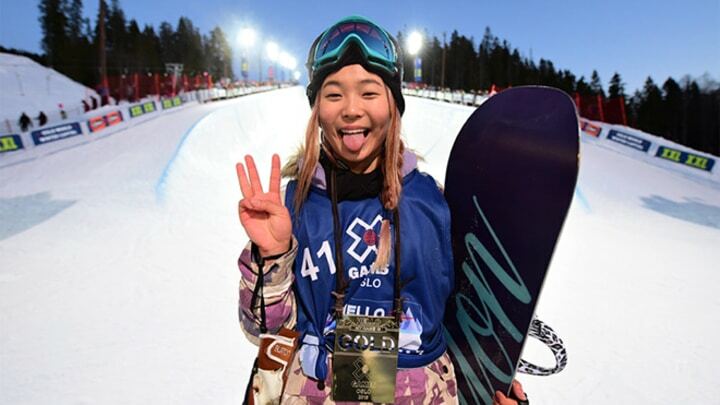 Before she even turned 18, Chloe Kim had already cemented herself as a legend in the snowboarding community. The Southern California native was born to shred and has been tearing up the competition since her first Winter X Games appearance in 2014. She first medaled at the Winter X Games in 2014, earning silver in the SuperPipe event. Silver is pretty remarkable – and she was only 13 at the time! Kim has since taken four more golds and one bronze in the competition. Recently, Kim took home a gold on the halfpipe in her first-ever Winter Olympics in 2018. From the moment Brittney Griner first picked up a basketball, she has been an unstoppable force on the hardwood. In 2009, Griner was named the No. 1 high school player in the nation. The 6’9″ center continues to live up to that initial hype every day. Griner’s time at Baylor was spectacular; she was twice named Player of the Year and won an NCAA Championship (2012). She was selected first overall by the Phoenix Mercury in the 2013 WNBA draft. Since then, Griner has kept on bringing home the hardware, winning several accolades plus her first WNBA championship in 2014. Cristiane Justino Venancio is a name most people probably aren’t too familiar with. 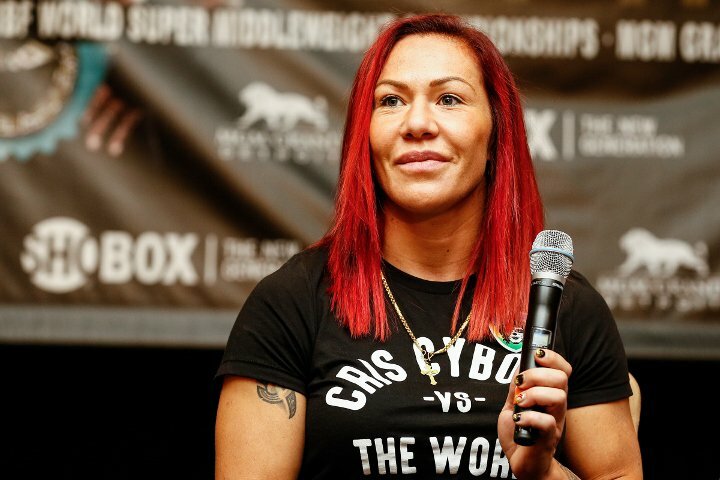 However, the very mention of her MMA ring name, “Cris Cyborg,” is enough to strike fear is anyone’s heart. After losing her first professional fight as a mixed martial artist, Cyborg has been on a mission to prove she is the moment dominant fighter in the octagon. Cyborg has racked up 19 straight wins on her way to becoming one of the most well-known, feared MMA fighters. She has been a nightmare in every featherweight division she’s fought in. Certainly among the strongest female athletes around, Cyborg became champion in Invicta FC, Strikeforce and UFC. Brazil must be putting something in the water, because soccer star Marta Vieira da Silva is a once-in-a-generation talent. Even Pele, Brazil’s transcendent talent, refers to Marta as “Pele with skirts.” For almost two decades, Marta has maintained a nearly unfathomable level of excellence. Vieira da Silva has maintained a top level of excellence for nearly two decades in a way that’s almost unfathomable. 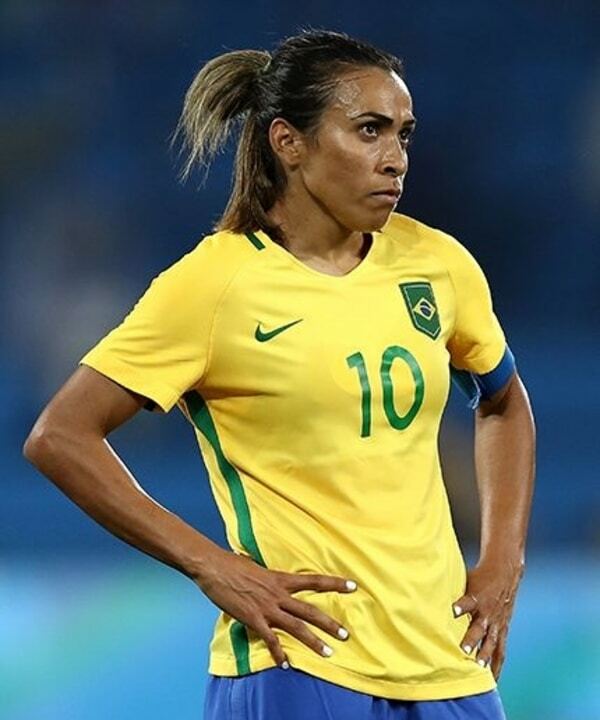 With two gold medals in the Pan American Games and two Olympic silvers, the 5x FIFA World Player of the Year, Marta has nearly averaged one goal per game in well over 100 caps for the Brazil national team. Maya Moore is such a transcendent talent in women’s basketball, she could forget to show up to a game and still put up the best stats on either team. After her college days at UConn, Moore was the No. 1 pick in the 2011 WNBA draft. She has razed a path of destruction along the way. In college, Moore took home two National Player of the Year awards and two National Championships. 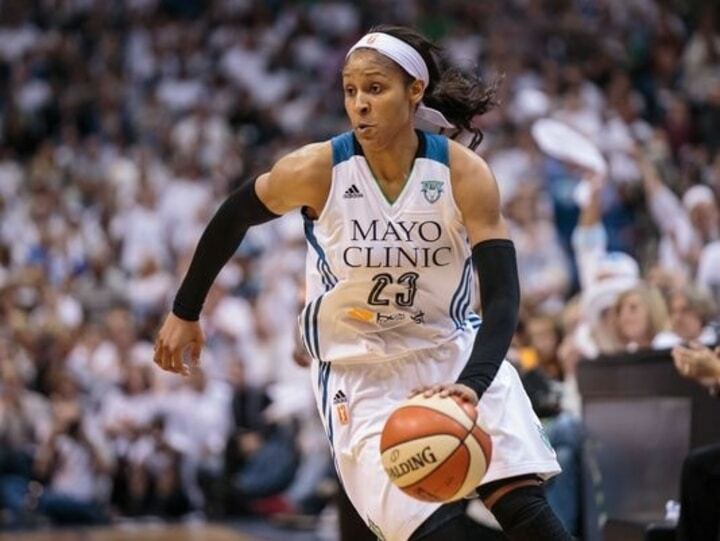 Since joining the Minnesota Lynx in 2011, Moore again earned MVP status (2014) and has already won four championships. Sheesh, save some fun for the rest of the world. 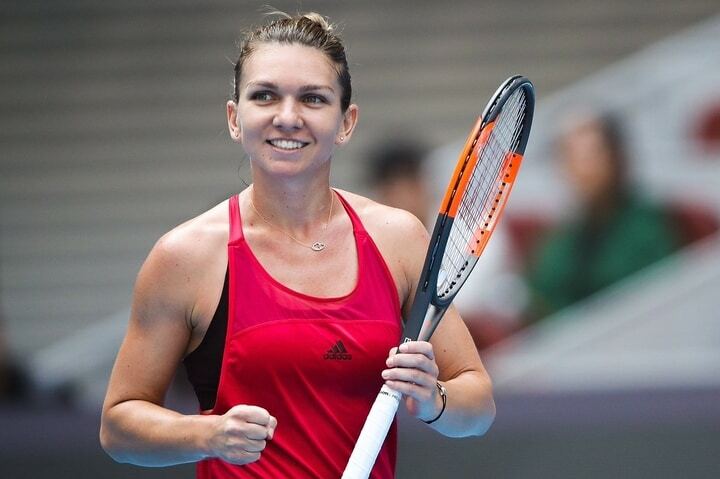 There is no validation needed for professional tennis player Simona Halep, who competes against the toughest talent in the world in the WTA where she has clawed her way to the top, achieving the status of No. 1 world ranking. Halep first achieved her No. 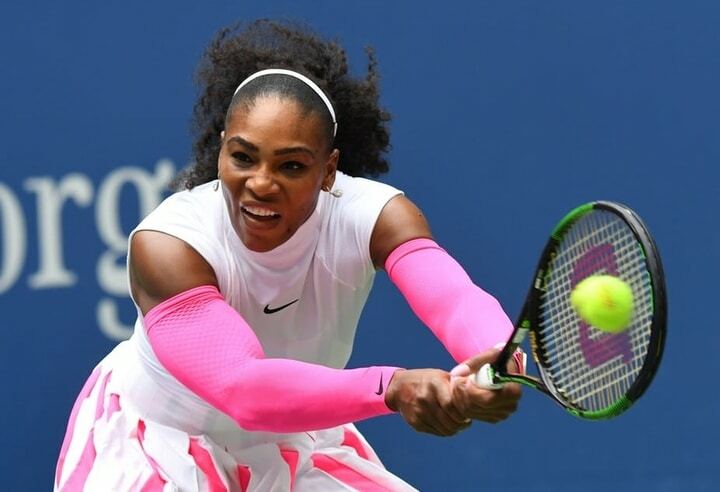 1 world rank in October 2017, making her the seventh person to attain such status without winning a Grand Slam. That is, until she took down Sloane Stephens to win the 2018 French Open after coming up short with a runner-up finish earlier the same year at the Australian Open. She’s even taken over Serena Williams’ record for the longest active Top 10 streak. It should be obvious that female athletes who are good enough to fight in the UFC should never been taken lightly. Still, don’t mistake Paige VanZant’s petite size and stunning beauty for weakness. 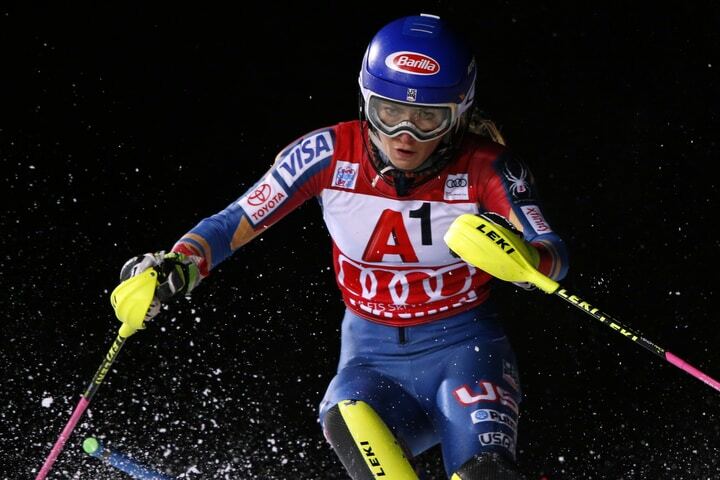 At age 23, she’s well on her way to leaving her mark on the sport. Sure, VanZant has already taken a few losses – but that actually sheds light on how impressive her blossoming MMA career really is. VanZant spent her first 10 professional fights in the strawweight division and made her flyweight debut in January 2018. The young star has 11 professional fights and a second weight class under her belt before even turning 24. VanZant has plenty of fight left in her. The United States is going to crush the world of competitive swimming for the next decade and there’s absolutely nothing anyone can do about it. 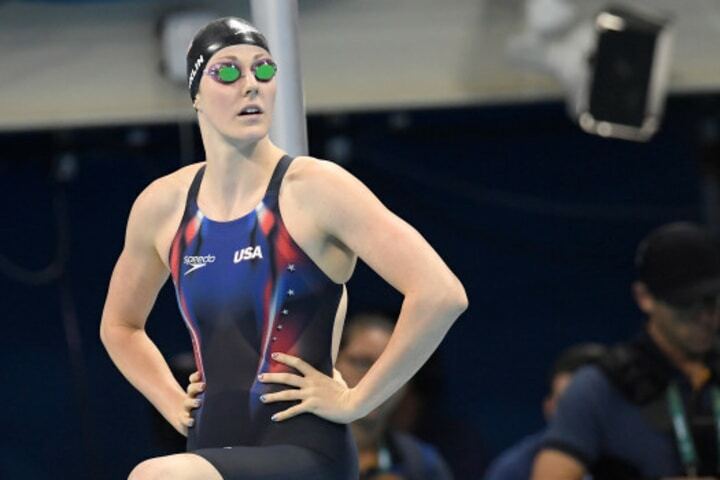 If Katie Ledecky isn’t enough to keep her competition up at night, Missy Franklin is coming in just as hot. In the medal race, the two are neck and neck. Two years older than Ledecky, Franklin has five golds and one bronze compared to Ledecky’s five golds and one silver. Franklin has earned 18 total World Championships medals (11 gold). She also holds the world record in the 200-meter backstroke (long course) amongst other records. Can we just all agree that it feels like Serena Williams has dominated every competition since she stepped onto the tennis court? If and when the day comes that Serena finally puts down her racket for good, the Women’s Tennis Association needs to honor the GOAT and retire the No. 1 rank permanently. Forget all of the monstrous endorsements Serena has earned over the years, she’s accrued roughly $85 million in prize money alone. That may seem like an absurd amount at first until taking int account the fact she is approaching 1,000 wins in professional singles and doubles matches. Diana Taurasi has been ballin’ outrageous for so long, it feels like she’s been in the game since it began. Taurasi is one of the key figures responsible for the unrivaled success of the UConn women’s basketball program. She helped lead the Huskies to three straight National Championships (2002-04). The championships didn’t end there for Diana Taurasi. 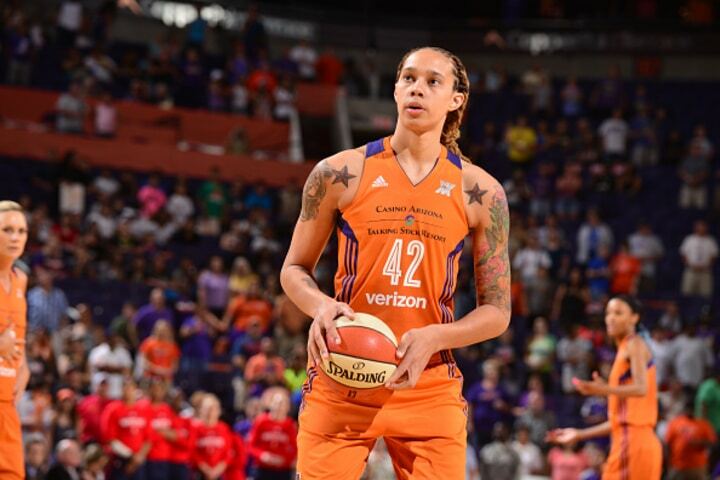 Since the Phoenix Mercury selected her with the No. 1 overall pick in 2004, she has won three WNBA championships. 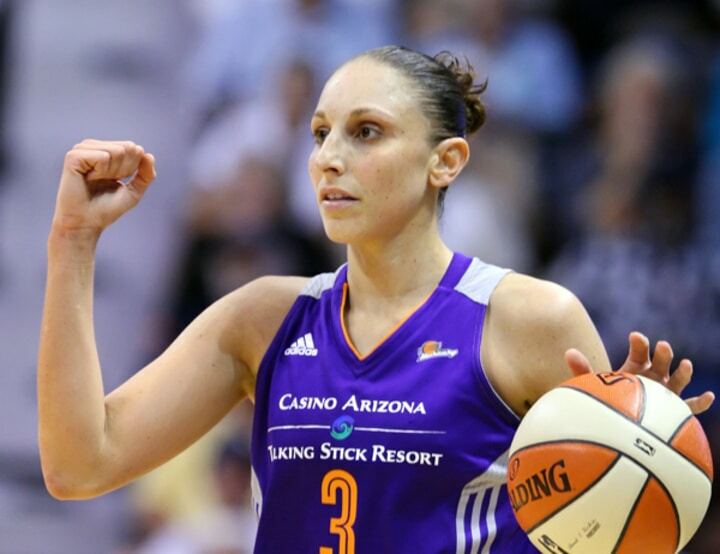 Apparently, being unstoppable in one country gets old after a while so Taurasi headed to the Russian National League. There, she has won seven championships, three Russian Cups and six Euroleague championships. Oh yeah, she also made a quick pit stop in Turkey to win the Turkish National League… because, you know, why not? 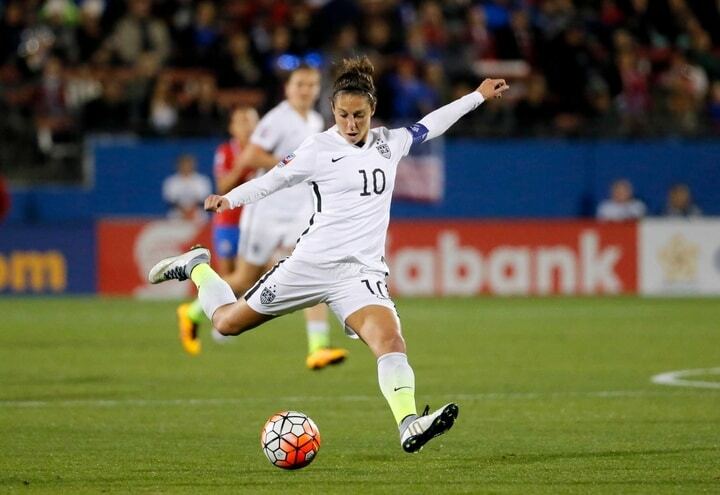 Carli Lloyd has been the lifeblood of the United States Women’s National Soccer Team for longer than many athletes play at any level. The quick-footed midfielder’s durability is simply staggering. Lloyd first started playing at the professional level back in 1999. Lloyd has had more than her fair share of iconic moments. 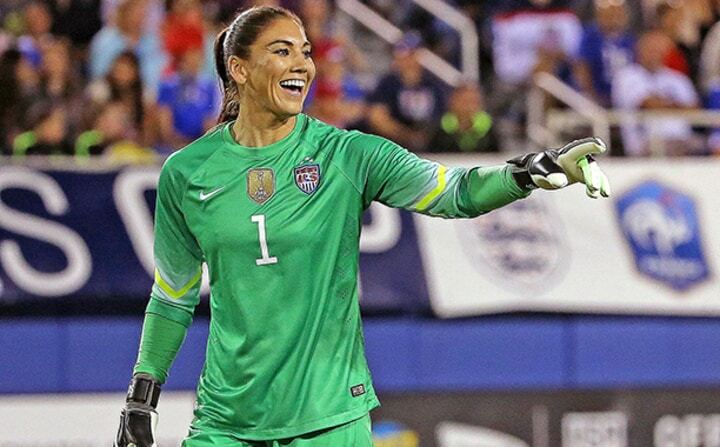 She has helped lead the USWNT to a bronze, silver and gold medal in the FIFA Women’s World Cup. Better yet, Lloyd scored two Olympic golds in which she literally scored the winning goal in both contests. With all of her contributions to the sport, it’s no wonder she was named FIFA Player of the Year two straight years (2015, 2016). It has been an incredible journey for mixed martial artist Holly Holm. She initially entered the world of combat sports as a kickboxer. Holm then turned her successful amateur career into a professional boxing career. She was borderline unstoppable in the ring, boxing her way to a 33-2-3 record. Holm kept the haymakers flying when she stepped into the octagon. After winning her first nine MMA bouts, she got her big shot. In 2015, Holm got her chance to claim the UFC Bantamweight Championship against Ronda Rousey. The title fight garnered an astounding 1.1 million pay-per-view purchases. Holm knocked out Rousey to win what’s considered one of the greatest upsets in sports history. If we need someone to point the finger at for earth’s depleted resource of precious metals, go ahead and point away at American gymnast Simone Biles. It might not even be a stretch to say that Biles, standing at a mere 4’8”, is worth her weight in gold since her medal count has likely outweighed her for years. 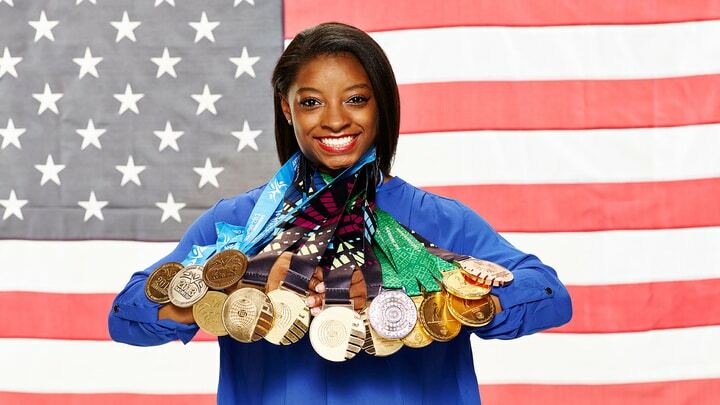 With 17 National Championships (11 gold), two Pacific Rim Championships (two gold), 14 World Championships (10 gold) and five Olympic medals (four gold) all before turning 21, Biles’ supposed peers are looking up at her accomplishments from earth while she’s in another universe of talent. South Korea’s Sung Hyun Park is more than just a new face on the LPGA tour; she’s a new star. 2017 was Park’s first year as a professional golfer in the LPGA. In her first year alone, she won two tournaments. It would be a major disservice to sum up Park’s accomplishments in that first year with just those two tournament wins, though. Her first win was a Major – the U.S. Women’s Open. The victory helped Park earn both Rookie of the Year and Player of the Year honors, making her the first competitor to do so since Nancy Lopez did in 1978. A true pioneer of women’s hockey, Brianna Decker should have plenty of years ahead to add to her already illustrious career. In college, the young forward was National Player of the Year in 2012 with the Wisconsin Badgers. From there, she went on to pioneering the still-young National Women’s Hockey league. As a member of the United States women’s national team, Decker’s goal scoring abilities have proven clutch time and again. Since 2011, she has helped lead the USA to five golds and one silver in the World Championships. Decker has also medaled twice in the Olympics, one silver (2014) and one gold (2018). Hope Solo may have hung up her goalie gloves in 2016, but her contribution to women’s soccer was overwhelming. Solo was a goalkeeper at the professional level from 2003-16. Soccer fans will remember her best though for her dazzling performances on the world’s stage. Her autobiography, Solo: A Memoir of Hope, was a best-seller. That makes sense, considering the book was released just after Solo’s lock down performance at keeper helped the United States Women’s National Team win a second straight Olympic gold. Even better, Solo helped her team win bronze (2007), silver (2011) and gold (2015) in the coveted World Cup. Talk about a super family of strong female athletes. 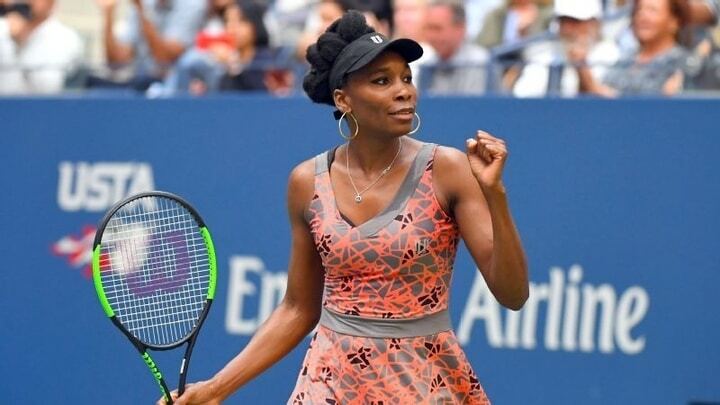 Serena Williams may be among the greatest of all time (okay, she’s just the greatest), but don’t think her sister, Venus Williams, is living in her shadow. Venus has also spent time at a No. 1 world rank and has essentially lived in the top 10 for female tennis players. In fact, Venus has done more than simply hold her own. She has won the second most singles titles, behind only her sister. Add in all of her doubles titles – she even won two of her four Olympic golds in singles and doubles the same year – and Venus’ accolades are simply staggering.